Gardeners can have strange ideas of what makes the perfect gift. For our anniversary last year my husband wanted to know what sort of a gift he should be considering. It was our 15th anniversary and the traditional gift is crystal of some sort. He knew that wouldn’t make my eyes sparkle, so what would? When I asked for a huge load of organic manure he said “are you sure?” I was completely sure and thrilled when it arrived. With that in mind, you might be wondering how to thrill and delight the gardener in your life this year. To give you a helping hand I turned to some seasoned gardeners to ask them what they would appreciate most as a gift. Not surprisingly the suggestions offered were practical with an emphasis on items that are more efficient and make work easier on the body. Indoor grow light systems are really useful. Not only can you grow food in the wintertime but it’s the perfect way to start your seeds in the spring. The Indoor Grow Light, 3-Tier Stand SunLite Light Garden With Plant Trays comes with everything you need to get started. 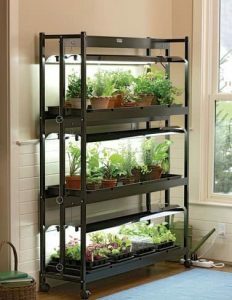 You can find the Indoor Grow Light, 3-Tier Stand SunLite Light Garden With Plant Trays system here. 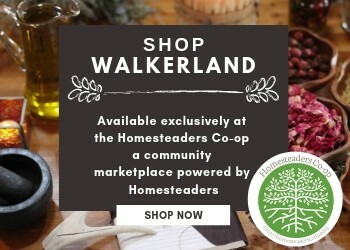 Terri, author and blogger at Homestead Honey lives completely off grid, in a 350SQ FT home and she home schools her kids. She is also a dedicated gardener who shares honest and practical insights that every gardener can appreciate! When I asked her what her big wish item was for the garden she said without hesitation “a Broadfork to aerate the soil and prep a bed in less time”. Broadforks are making a comeback and for good reason! They are simple to use. Using your body weight you step on the crossbar, first on the left then on the right until the tines are completely set in the soil. The soil is loosened by pulling the handles back and working them back and forth in a sort of a rowing motion. 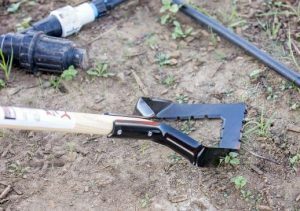 Using the tool requires minimal effort so you can work through a garden bed quickly and efficiently. The big benefit of using a broadfork is that it gently aerates the soil leaving all of the precious living microbes, worms and such alive and healthy. The Treadlite Broadfork. It’s All American made using high strength alloy steel. The weight of the Treadlite starts at only 10 lbs which is really important, especially for women. You can buy the Treadlite Broadfork here. Annie from Country Living in a Cariboo Valley spends a lot of time working in gardens and she knows a thing or two about weeding. At her farm they grow a lot of garlic (50,000 cloves planted this fall). They sell and ship their garlic Canada wide! When I asked her what tool she considers essential in the garden she immediately suggested A Push-Pull Hoe. She said ” I don’t know why we have about 10 hoes sitting around because this is the ONLY one I ever use. I love it”. What makes this hoe special is that the v-shaped head on the Hoe allows you to weed with a push-pull motion. This is much more effective than repeatedly lifting and impacting the soil with a traditional hoe. It is also far easier on your shoulders and back. It’s simple to use. Simply push the hoe forward to cut a weed at the root then pull the hoe backward to displace the entire weed. It also works as a scuffle hoe. 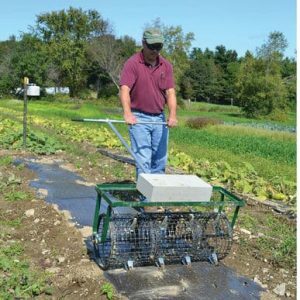 The push-pull motion makes it easy to skim the surface of the soil eliminating small surface weeds. You can buy the Hoss Push Pull Hoe Here. Heidi, gardener, natural living enthusiast and writer for Healing Harvest Homestead is wishing for a garden seat/kneeler under the Christmas tree. ” I am a mid-life gardener and sometimes I have trouble with my knees. I end up bending over from the waist a lot. This gardening seat would make gardening easier on my body”. 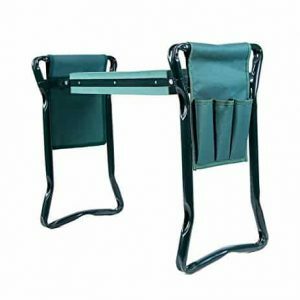 The Ohuhu Garden Kneeler is nice because you can use it as a kneeler or a stool. It also folds up for storage and comes with storage pouches. It’s also really strong and can hold up to 330lbs. You can buy the Ohuhu Garden Kneeler here. Marie from Just Plain Living By Marie is passionate about creating a life that is both self-reliant and sustainable. In addition to information about self sufficiency you’ll find plenty of gardening and food storage tips. When I asked her what she needed most for her new garden she told me: “Now that we’re living in town and I can’t have a big compost pile, I want a nice, attractive tumbling composter”. 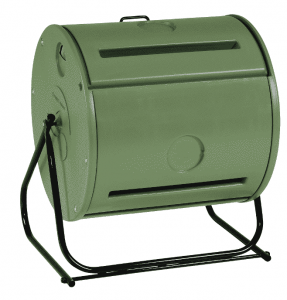 The Easy spin ComposTumbler is perfect for the back yard urban garden. It’s been designed to fit on on decks/porches or neatly tucked by the side of the house or garage. It holds up to four bushels of compostable material and once you learn the fundamentals of composting you can be making your own beautiful compost in as little as 4-6 weeks. You can buy the Mantis Easy Spin ComposTumbler here. 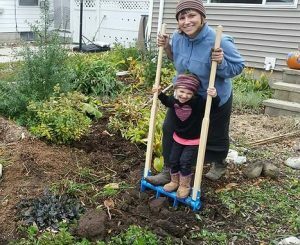 When I asked Dana, homesteading guru from Piwakawaka Valley what she though the perfect gift would be she suggested “Oh I would love a couple of truck loads of mulch. 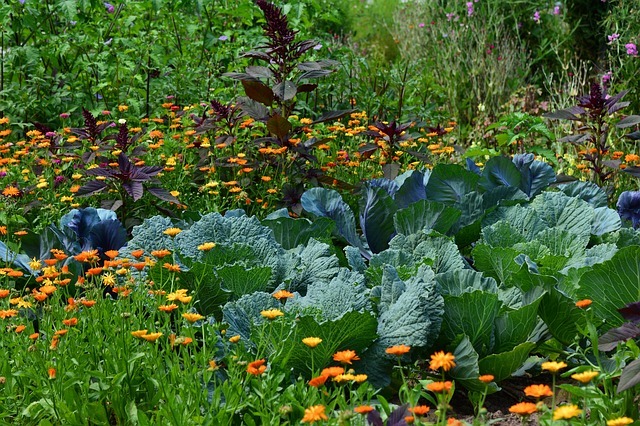 It saves me weeks of weeding over the year and enriches the soil at the same time”. It is true, every gardener can use more mulch & manure! They are key elements to the successful garden. If you have a gardener with a deep desire for better soil in the garden then perhaps a gift certificate to their favourite garden supplier might be the ticket or just have a huge delivery of manure dropped off at the door and holler “surprise”! 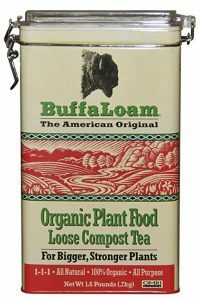 You can also pick up compost teas like this Buffaloam Organic Compost Tea that comes from the Diamond Tail Ranch in Northern Colorado. Jenna from The Flip Flop Barnyard is a looking forward to getting the Baker Creek Whole Seed Catalogue in her Christmas stocking this year. There’s no better way to spend a winters evening than snuggled up in front of the fireplace flipping through the Baker Creek Heirloom Seeds catalogue. 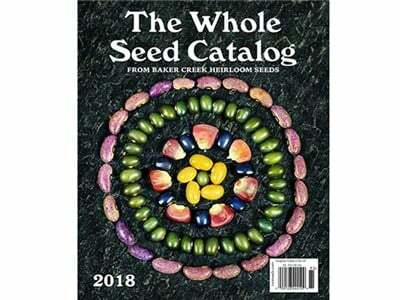 For $9.99 plus shipping you get a 365 page full colour catalogue featuring over 18,000 of the very best heirloom seeds. It’s packed with great information and often highlights newly discovered seeds. You can buy it direct or in the US you can find it at a variety of retail locations including Barnes and Noble, Tractor Supply, Dollar General and more! A gift certificate and perhaps a few special packets of seeds would also be nice! You can buy the Whole Seed Catalogue Here. 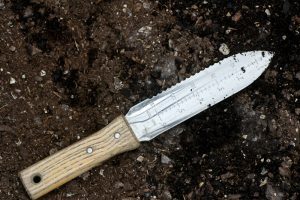 If you asked me what item every gardener should have (and probably doesn’t have yet) I would exclaim “get them a Hori Hori knife, in fact get them TWO. They are so useful that everyone will be borrowing the second one”. I actually love this tool so much that I only begrudgingly let others use it. A cross between a knife and a trowel, this tool has replaced all of my other small hand tools. We have had it for years and it is still sharp after daily use through the summers. It is useful for; planting, transplanting, grubbing, removing roots or deep-rooted weeds, dividing perennials, cutting open feed bags and impaling slugs. Traditionally used in Japan to collect specimens for bonsai (hori means “digging”), the knife has a heavy steel blade that is dished, with a serrated edge on one side and a sharpened edge on the other. You can buy a good Hori Hori knife for around twenty dollars and you can find them here. Lauren Dibble from Hillsborough homestead is a gardener, homesteader and natural born country girl. When I asked her what tool she was dreaming of for her gardening work she didn’t hesitate with her response. She said” This may seem VERY extravagant, but I would LOVE some sort of spaced out dibble. I struggle so much to space my plantings well. My rows always end up crooked”! I know what she is talking about because I have the same issue. If you have a large or gigantic garden the Johnny’s Seedbed Roller would be a dream come true in the garden. It will help you mark rows quickly and with precision. You can purchase the add on Snap-in Dibble Starter Set to achieve perfectly spaced planting holes without having to bend over. It’s an investment to be sure but one that anyone planting huge gardens would benefit from (hint hint). There are also some DIY instruction online if you are handy enough to make one for your beloved gardener. You can learn more about Hillborough Homestead here and you can buy the Johhny Seedbed Roller and Dibbler Add On here. 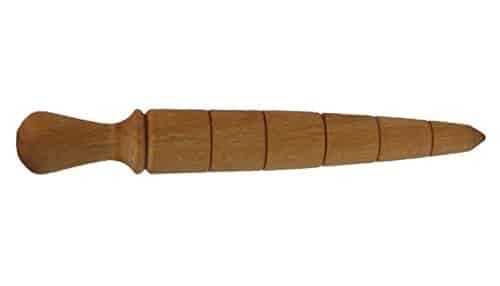 Creamore Mill UK Made 8″ Beechwood Gardeners Plant Dibber– Used for planting out anything from seedlings to small bulbs.Conveniently designed with 1″ depth graduation. Solid wood and made in Great Britain. Miracle Worker Gloves by Atlas Glove Co. – I have been on a quest to find a glove that lasts a long time, does not rub or chafe and is reasonably priced. These are my favourite. 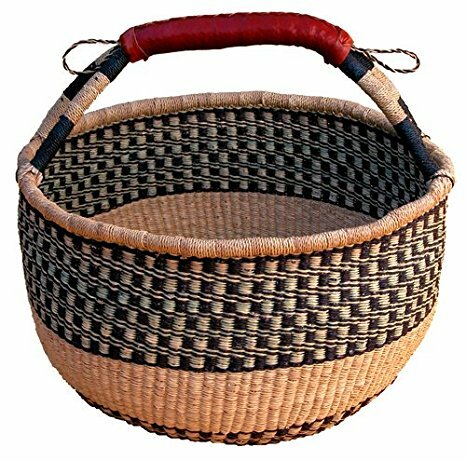 Overseas Connection Market Basket – A beautiful basket to gather and harvest with is always appreciated. Gardening Like a Ninja – An Edible Landscaping Course and Book. 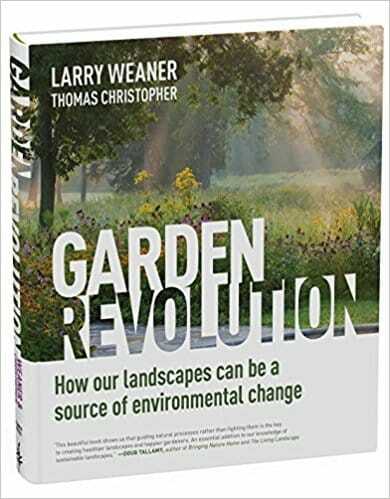 Garden Revolution: How Our Landscapes Can Be a Source of Environmental Change – This book offers a fresh take on how to garden ecologically and beautifully, shared in a down to earth, practical and easy to understand manner. 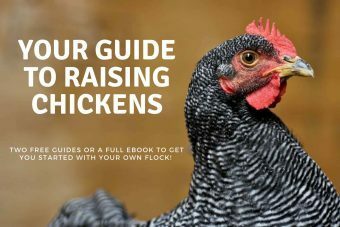 Mini Farming: Self-Sufficiency on 1/4 Acre – Mini Farming describes a holistic approach to small-area farming that will show you how to produce 85 percent of an average family’s food on just a quarter acre and how to make money doing it. The Organic Gardener’s Handbook of Natural Pest and Disease Control – A Complete Guide to Maintaining a Healthy Garden and Yard the Earth-Friendly way. Floral Straw Sun Hat – this pretty and practical sun hat is perfect for preventing sunburn while working long hours in the garden. Great list! I’m definitely filling out my shopping list with some of these ideas!